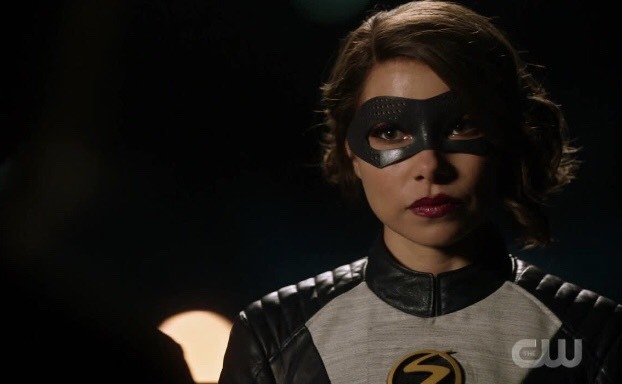 Sueboohs CornerBlogs#TheFlash Season 5 Episode 10 "The Flash and the Furious" Recap and Review"
The episode starts in 2049 with Nora letting Thawne have it. Apparently he assumed she knew that he killed her grandmother in front of her father. Fat chance of that. He says that he’s changed since then, and given her everything. He wants to change his legacy. She’s buying none of it and doesn’t want his help anymore. Team Flash doesn’t know where Cicada is. CCPD is still stationed in front of Grace’s room, so he’s not at the hospital, but he’s invisible when not using the dagger. 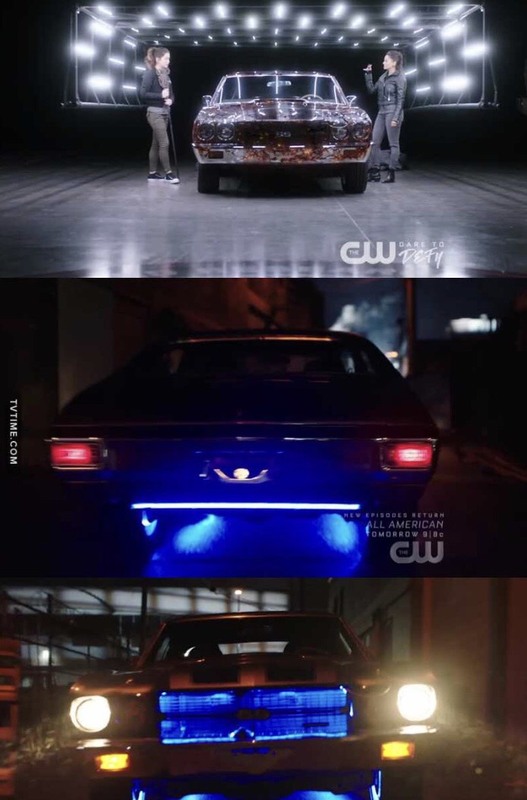 Team Flash has their own disappearing acts going on. Ralph is with his mom and Joe is with Jenna visiting Wally in Tibet. 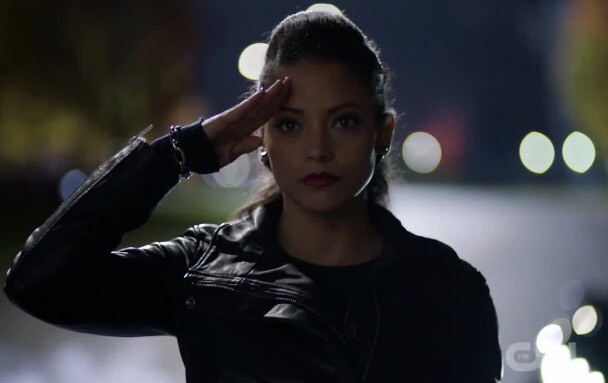 The Family Westallen is going to support Cecile at her first day back at work. While they do that, Sherloque is working on translating Nora’s journal. At the courthouse, Cecile can read Weather Witch’s thoughts and it’s throwing her off. Caitlin is finally taking the shards out of Cisco’s hands. Afterwards, she ice heals his hands. He’s gotten used to just being Cisco again and he likes it. A woman in a leather jacket is watching the trial on her phone and steals a Lamborghini. 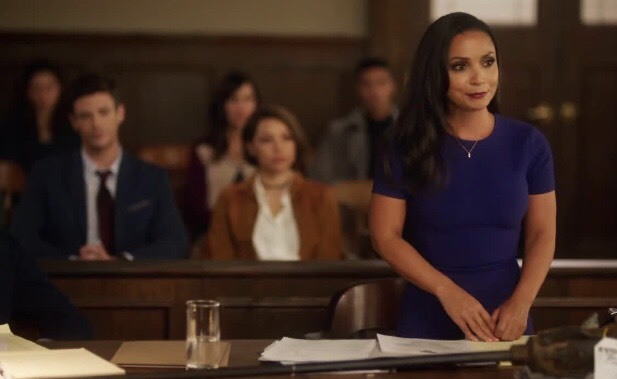 Barry has to go track her down, but he also has to be on the stand in half an hour. He gets to the car, but some kind of forcefield is protecting it. Afterwards he can’t stop phasing. 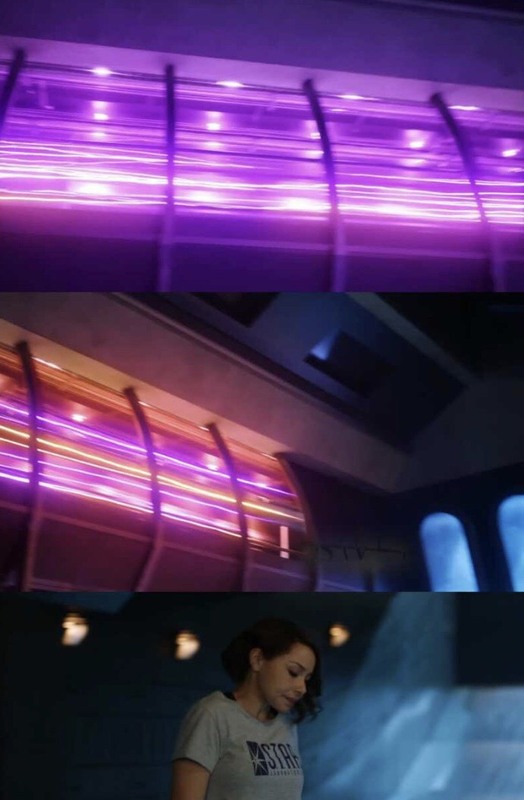 Nora gets him to S.T.A.R. Labs where they decide that he should phase through the floor into the pipeline. 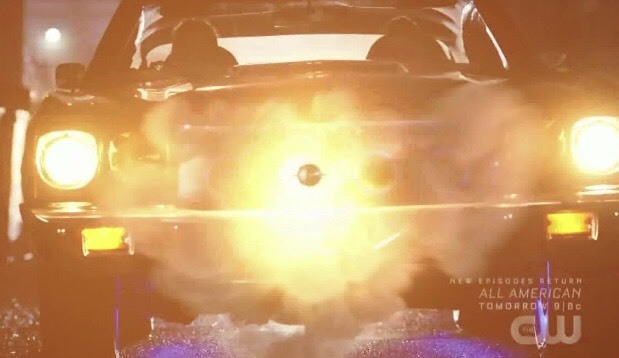 The car was infected by destabilized dark matter which destabilized him. He’s upset because he needs to be in court in 10 minutes. Nora says that she can go instead. Cecile isn’t happy about it, but she allows it. She tells Iris that she wants to go easier on Weather Witch because of what she’s been sensing. Nora on the other hand, does not. She keeps it together when Cecile questions her, but she goes off on Weather Witch when cross-examined. Then Weather Witch stands up in the middle of being berated and admits to everything. 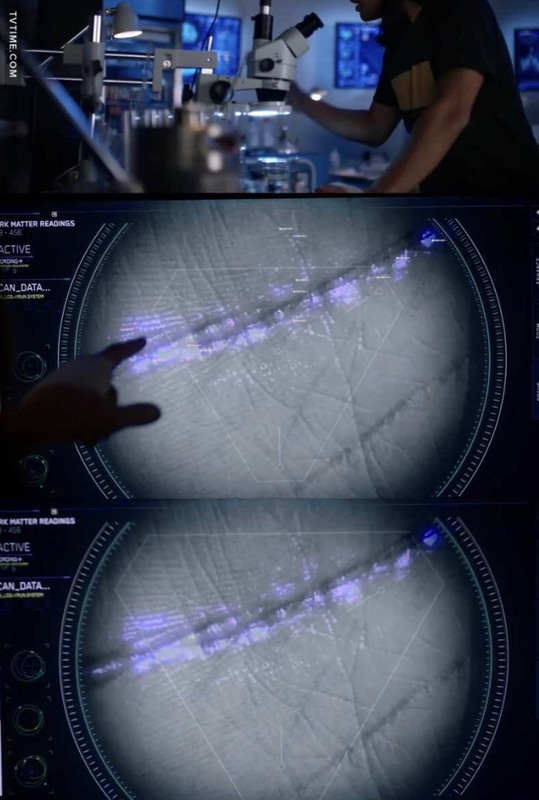 Cisco did a biochemical analysis on the shards and now he wants to go full X-Men. Cisco, you of all people should know that The Last Stand was the least popular X-Men movie! Caitlin doesn’t want a metahuman cure either because duh. She just started to get along with her other personality and curing someone who doesn’t think they are sick is very messy. Thankfully changing the subject, Lamborghini girl cuts off Weather Witch’s prison transport and takes Weather Witch. Her name is Raya Van Sant. She was dishonorably discharged and her codename was Silver Ghost. Nora thinks it’s a foregone conclusion that Weather Witch was involved in the prison escape, but Iris points out that they don’t know yet. Silver Ghost wants to break in to A.R.G.U.S. and she wants Weather Witch to help her as the first member of her Young Rogues team. Weather Witch wants to turn herself back in and Silver Ghost lets her go. 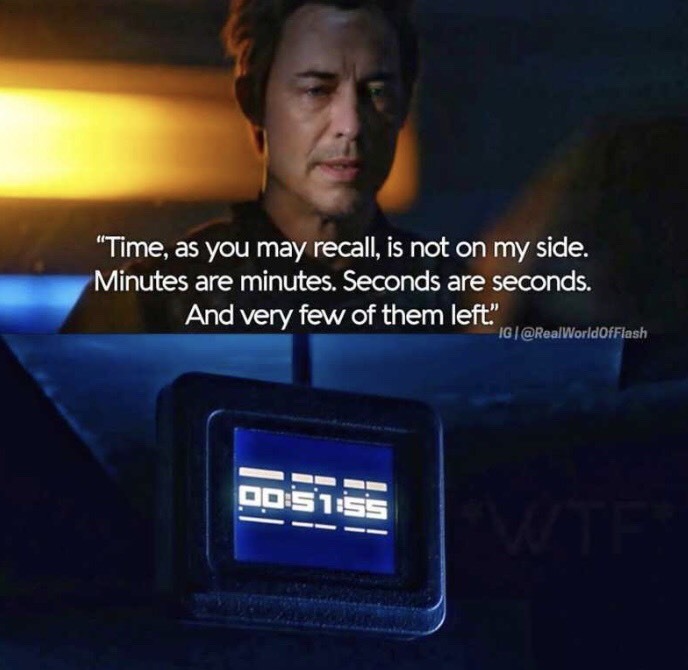 Sherloque asks Barry about the time language, but Barry doesn’t have any answers. Sherloque also says that the Legends dropped off some books that he can read while in the pipeline. There is a hurricane in Central City. Nora goes to check it out. Weather Witch wants Nora to vouch for her so that she can turn her life around. Nora turns her in instead. 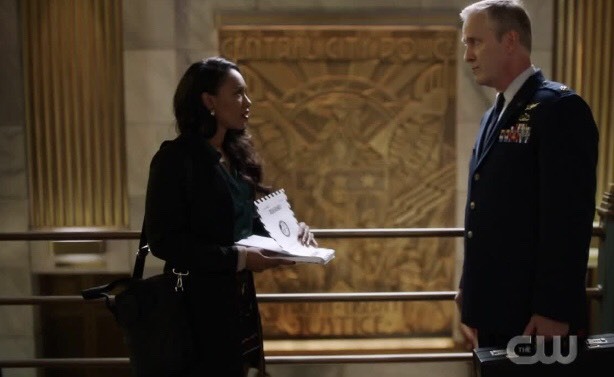 Iris gets Silver Ghost’s military file from one of Joe’s friends. Iris talks to Nora. There is no connection from Silver Ghost to Weather Witch. 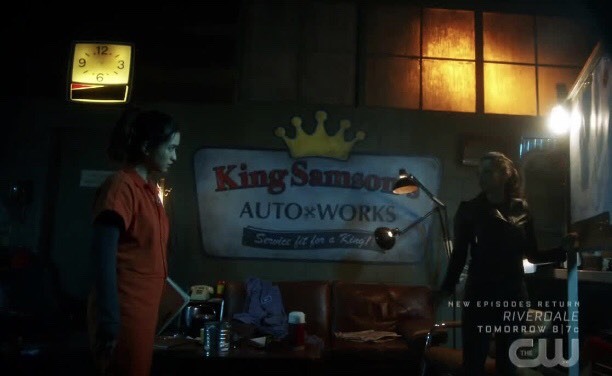 Cisco is mad sciencing in his lab until Killer Frost destroys it. She then tells him off about his cure. He tells her that he wants to be normal and have a family. He doesn’t want to be the Flash. Nora talks to Barry about whether people can change. He says that part of being a hero is believing in people and he even goes so far as to say that even Eobard Thawne could change. Dang it, Barry! This is not the time! Leonard Snart did not kill your mother! Also, Mick Rory wrote the book he’s reading. Silver Ghost breaks Weather Witch out of prison. They break into A.R.G.U.S. and steal the freaking Batmobile! Technically it’s a stealth automobile that was made with parts from Wayne Tech, but come on, it’s totally the Batmobile! Nora stops them in an alley, but Silver Ghost deploys and then detonates a missile. 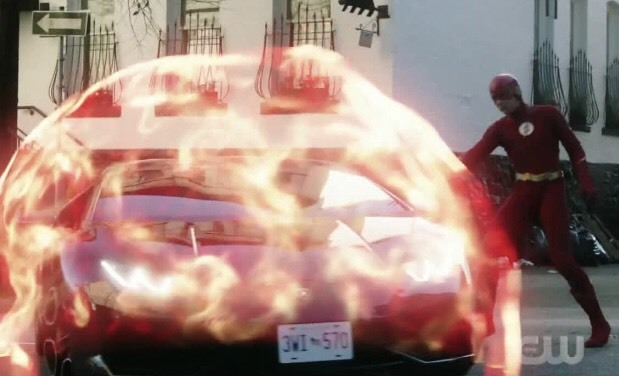 The car then phases through Killer Frost’s ice wall and goes invisible. Nora projects radio waves and asks Weather Witch to give her a second chance. Weather Witch then ices the road so that Silver Ghost doesn’t run into Nora. This crashes the car, but they both get away. Barry gets out of the pipeline. Caitlin throws a coat on Cisco. They both talk about The Breakfast Club and go to her dad’s lab. She still doesn’t like this whole cure business, but if she’s involved, then there can be some ground rules. First one: no forcing the cure on people. How to enforce that will become a problem, but we shall see. 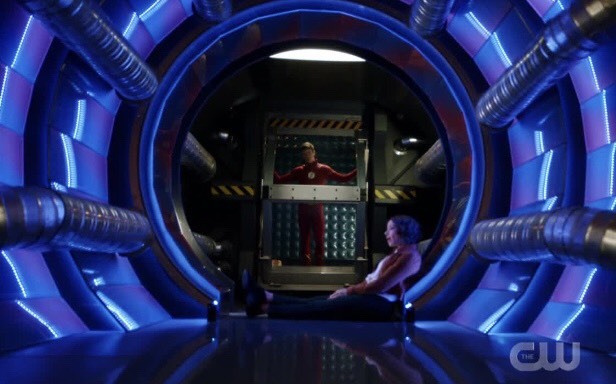 Nora visits Thawne. She doesn’t trust him, but she’s giving him a chance to change her mind. Is he dying? Sherloque is in the future room and asks Gideon about Nora. All of Nora’s files have been deleted. I’m really gonna hate this cure storyline, but otherwise I enjoyed this episode. I want to shake Barry, but there is no way he could know. 8/10.